We welcome to the market this two bedroom semi detached house which is being sold as part of a BUILDERS PART EXCHANGE SCHEME. The property offers well presented accommodation that would make an ideal first time buy and boasts a LOVELEY SUN ROOM which overlooks the rear garden. The home is situated within close proximity of local amenities and is ideally placed for road links to the A1058 Coast Road. Briefly the property comprises; lounge, kitchen, sun room, two bedrooms and a bathroom. Externally there is ample space for ON SITE PARKING to the front and a GOOD SIZED GARDEN to the rear that takes advantage of a WESTERLY ASPECT. Council tax band A. 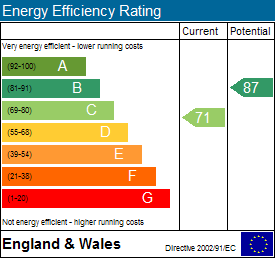 Energy rating C. FREEHOLD. To arrange a viewing call next2buy on 0191 2953322. Hallway - Double glazed entrance door, stairs to the first floor landing. Lounge - 3.94 x 3.89 (12'11" x 12'9") - Fireplace, double glazed window, radiator. Kitchen - 3.90 x 2.01 (12'10" x 6'7") - Fitted with a range of wall and base units with work surfaces over, integrated oven and hob with extractor hood over, single drainer sink unit, tiling to walls, double glazed doors to sun room. Rear Lobby - Storage cupboard, access to utility. Utility Area - 1.01 x 0.89 (3'4" x 2'11") - Tiling to walls, plumbed for washing machine, double glazed window. Sun Room - 4.66 x 3.99 (15'3" x 13'1") - Spotlights to ceiling, double glazed windows, wood flooring, double glazed door to the rear garden. 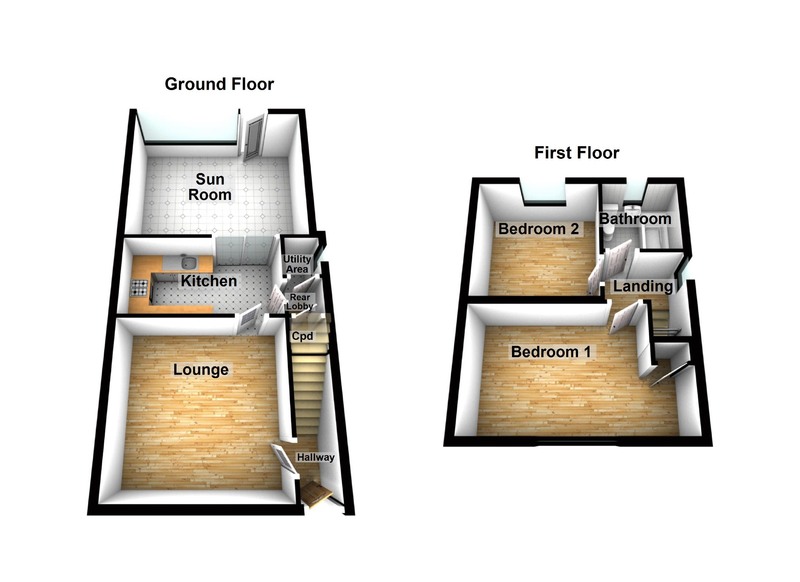 Bedroom 1 - 2.91 x 4.01 min x 5.00 max (9'7" x 13'2" min x 16'5" max) - Double glazed window, radiator, storage cupboard. Bedroom 2 - 3.07 x 2.98 (10'1" x 9'9") - Double glazed window, radiator. Bathroom - 1.87 x 1.80 (6'2" x 5'11") - Comprising; bath with shower over, low level WC, wash hand basin with built under storage. Tile effect panelling to walls, tiling to floor, double glazed window, radiator. External - Externally there is block paving to the front providing space for on site parking. To the rear there is a good sized garden that is mostly laid to lawn together with a paved patio area and a fenced perimeter. The rear garden benefits from a westerly aspect.